For many of us, the idea of looking forward to January can be a bit like looking forward to a hangover. All the fun is behind you, and one is left to atone for past indulgences. But over the years, particularly since becoming a mother when holiday expectations explode, I’ve come to look forward to this quiet month, when a sense of calm descends on our holiday-weary lives. Yes, there is less to celebrate, but there is also less you have to DO. I challenge you to embrace this winter slumber! The New Year brings a huge surge in health club memberships and sign ups for a bunch of online life courses from meal planning to meditation. I’ve seen over and over folks frantically trying to change their lives ASAP yet within a few weeks nearly all of these good intentions go by the wayside. It feels like this last week of December has become yet another mad dash extension of the holiday frenzy with people setting SMART goals and (trying to) upend their lives for the better. Be clear, I’m not advocating that we all bail on goal setting! What I am pushing for is that you slow down when doing it! There’s no rule that says you need to start January 1st with your resolutions, or for that matter that you even need to know what your annual goals are in the next 4 days. Instead, use what’s left of December and much of January as a quiet time of reconnaissance and restoration. Take inventory of your year. Allow yourself some time to reflect on what went well for you this year, moments you felt truly happy and content, and make a plan on how to recreate those feelings more often in the year ahead. On the flip-side, it is also important to consider those things that made you feel bad, stressed, or tired and strategize how to better manage, limit, or even eliminate such occurrences from your life. Make a plan for health and beauty. Start with scheduling or setting reminders in your phone or calendar for all your medical and beauty-related appointments for the year. Then take inventory on your wellness and self-esteem, making a plan for how you can feel and look your best. We all know good health is crucial to a good life, but looking your best also does wonders for your confidence. Manage physical clutter. With the recent influx of new things after the holidays (particularly if you have children at home), January can be a great month to do a deep-dive into cleaning and organizing your home. I personally go a bit Marie Kondo cleaning, organizing, and often tossing or donating loads of stuff room by room in my house. At a minimum getting your home in ship-shape helps to get a fresh start for the new year. It also lets one take inventory of what you do have, and note things that can be stocked up on for the year ahead. Tackle mundane tasks. 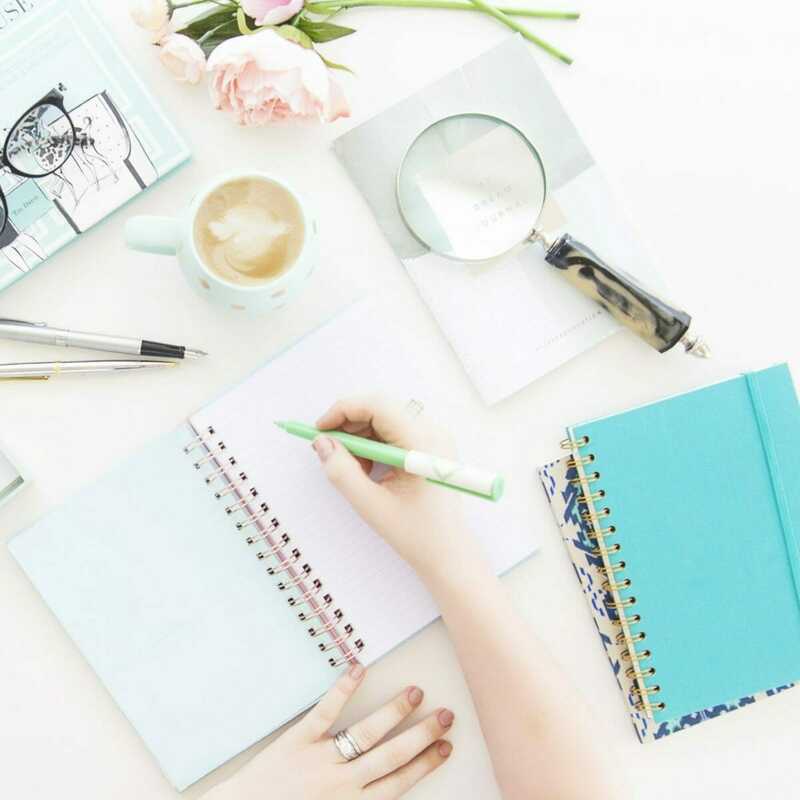 Speaking of planning and taking stock of things needed for the year ahead, the quiet months of winter are a great time to identify and address the time consuming and often mundane tasks that we all can easily lose track of during busier months. For me, this means stocking up on birthday cards and stamps for the year in one visit to the gift store as well as setting reminders on my phone for all appointments, from car servicing to medical visits for the year ahead. When you’re in the throes of back-to-school or the holidays, you’ll be happy to have a few simple tasks addressed, lightening the mental load we ladies tend to carry. Attend to relationships. Meaningful friendships are so important to a happy life, and the quiet winter months are a great time to reconnect with friends and loved ones. One helpful way to approach this is by organizing the contacts in your phone and on social media. It has the dual effect of accomplishing an organization project, but more importantly can illuminate important relationships that have gone idle. Reach out to these folks and find meaningful ways to reconnect in the year ahead. Create a vision board. Admittedly, this is a new one for me. However, over the past month, I’ve listened to two interviews of women I admire who both attest to the powerful impact making a vision board has had on their life. The basics behind this is to physically create a board that acts as a collage reflecting goals and visions for your best life. By placing the said board somewhere prominent, you are then giving your attention to these things, and through the laws of attraction (not to mention the magic of the universe), the things we focus on tend to present themselves. Let’s all give it a try; can’t hurt! Sound like a tall order? Everyone’s journey of growth and well-being is personal. But no matter what, we can all use the quiet and calm winter months ahead to restore, reflect, and align our lives for a great year ahead!